Day I – Morning. Abhyangam – One Hour. Day I – Evening. Steam Bath & Nasyam – 30 Minutes. Day II – Morning. Pathrapotalaswedam – One Hour. Day II – Evening. Sirodhara – 30 Minutes. Day III – Morning. Njavarakizhy - One Hour. Day III – Evening. Sirodhara – 30 Minutes. 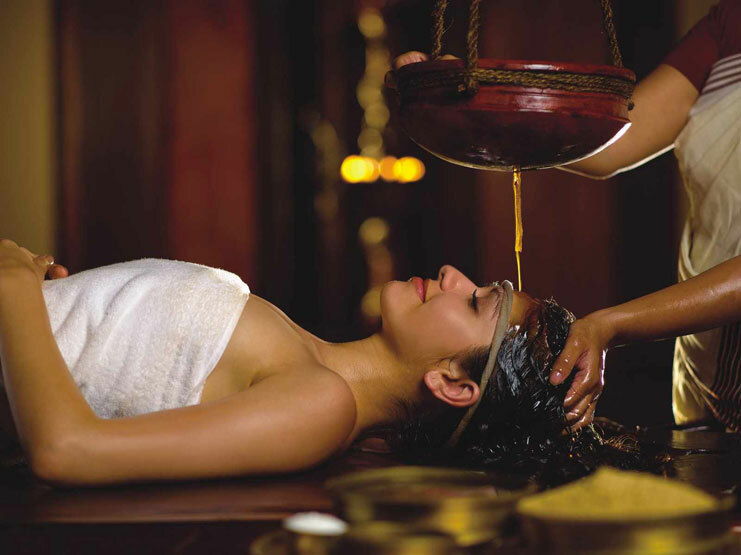 In this treatment a steady stream of decoctions or lukewarm oil is made to flow over the forehead while giving gentle massage to the head. 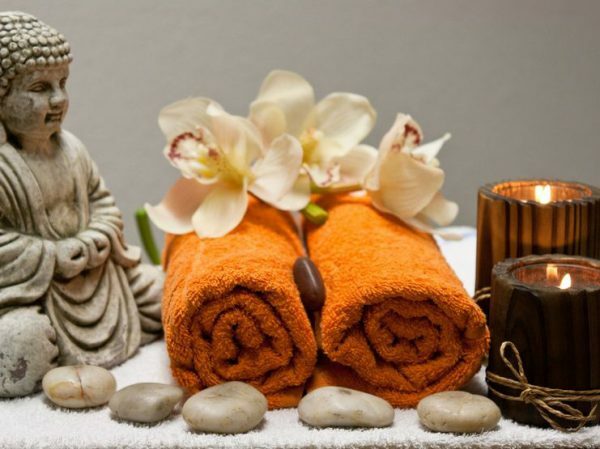 This is a very useful relaxation and rejuvenation therapy for the mind and body, and is very effective in treating insomnia, mental tension related problems, and some skin problems. Six Ayurvedic Treatments per person during the course of 3 days, 2 treatments per person per day. See Annexure I. Cancellation Policy: Reservation cancelled more than 30 days prior to check-in full refund. Cancellation made between 30 to 15 days prior to check-in date One Night retention will be charged & less than 15 days prior to check-in date 100% retention will be charged. Any other activity which is not mentioned under the Head “Inclusion”. JATAYU EARTH CENTER The first major BOT tourism in Kerala, India Jatayu Earths Center is the first joint effort by the Tourism department of Kerala and Mr Rajiv Anchal along with private equity holders to create a destination, which is a unique combination of all aspects of tourism and offers a complete Kerala, God’s own Country experience to every tourist. The concept is the brain child of renowned film director, art director and sculptor Mr Rajiv Anchal and his team took ten years to meticulously design and complete this monumental project. Guruchandrika Builders and PropertyPvt.Ltd. have leased the government owned land for 30 years to build and operate Jatayu Earth’s Center.